HOLY FLASHBACK, BATMAN!! Actually..is it bad luck to start off a Marvel Comics article with a DC Comics reference? Do I have to go outside and spin three times while throwing salt over my right shoulder? Damnit..hang on. OK we're back. This April, ResurrXion is taking the X-Men to new heights as the eagerly anticipated X-MEN GOLD #1 and X-MEN BLUE #1 are set to take the comics world by storm. As the Children of the Atom charge forward into the future, we’re celebrating by looking back at one of the X-Men’s most renowned artists. Commemorate the historic launch of X-MEN BLUE #1 and X-MEN GOLD #1 with two variant covers by legendary X-Men artist Jim Lee! 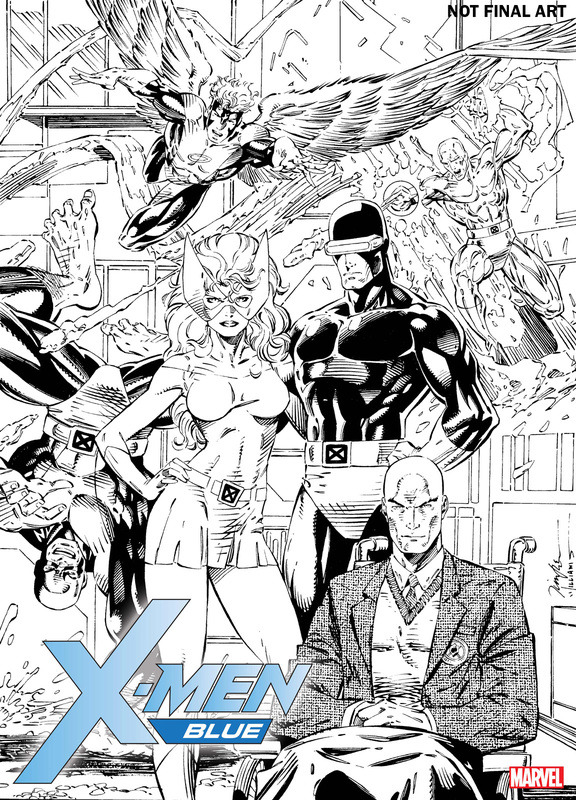 Continuing Marvel’s eye-popping tradition of remastered and recolored marvelous moments comes two iconic X-Men images – masterfully recolored by artist Morry Hollowell! Protecting a world that hates and fears them never looked so good! Retailers have an extra week to check their orders (FOC has been extended to 3/20) and are strongly encouraged to do so as demand for these two variants can only increase over time. No fan can afford to miss out on these can’t miss Jim Lee variants – coming to X-MEN GOLD #1 and X-MEN BLUE #1 this April! Retailers: Please note previous communications had Jim Lee Remastered Variants erroneously listed as featuring art by David Marquez and David Lopez. 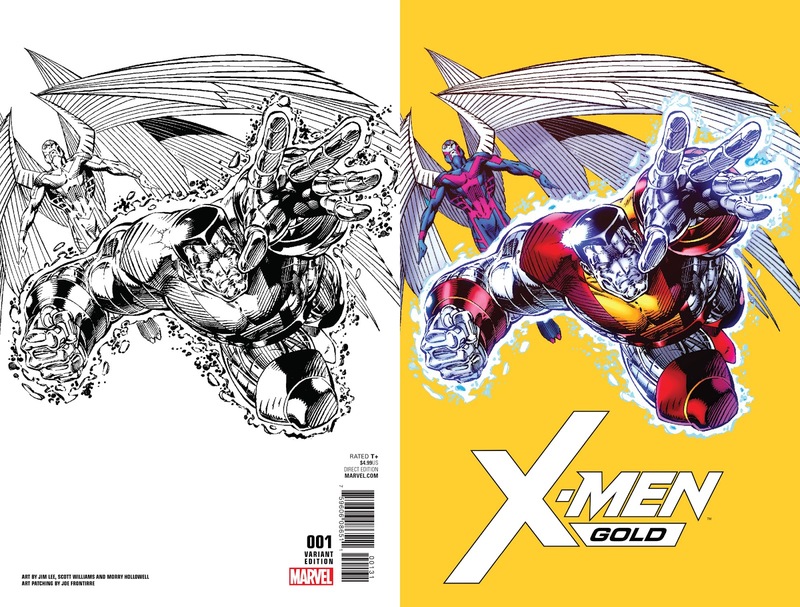 Please note that order codes FEB170782 and FEB170770 will now be tied to X-MEN GOLD #1 JIM LEE REMASTERED VARIANT and X-MEN BLUE #1 JIM LEE REMASTERED VARIANT, respectively.